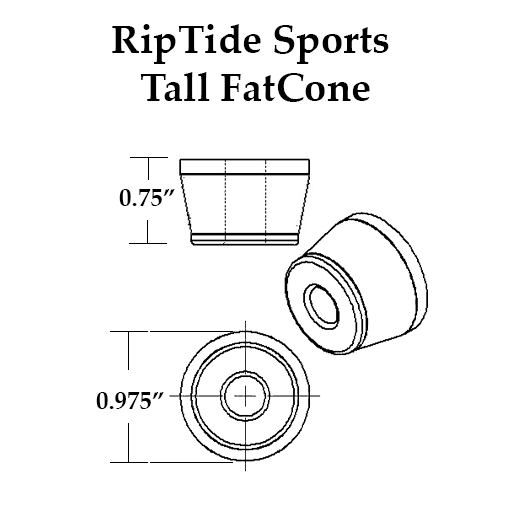 Hard durometer bushings (95.5a - 93a) are for heavier-weight riders (over 125lbs) and allow for a nice tight set-up. Medium durometer bushings (88a - 78a) are for medium-weight riders (75 - 125lbs) & those looking for a looser setup in the RoadSide position when coupled with a harder duro bushing. Soft durometer bushings (73a - 68a) are for light-weight riders & those looking for a loose setup in the RoadSide position.